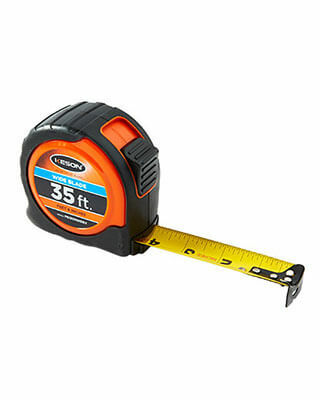 Our Wide Blade tapes feature 1 3/16-inch blades. We also printed them with larger numbers so they are easier to read. As with all Wide Blade tapes, they have a longer stand out than a standard 1-inch tape. We also we have users who insist that when running ours up a wall (with the attachment on the floor), they travel higher than other wide tapes before falling away.